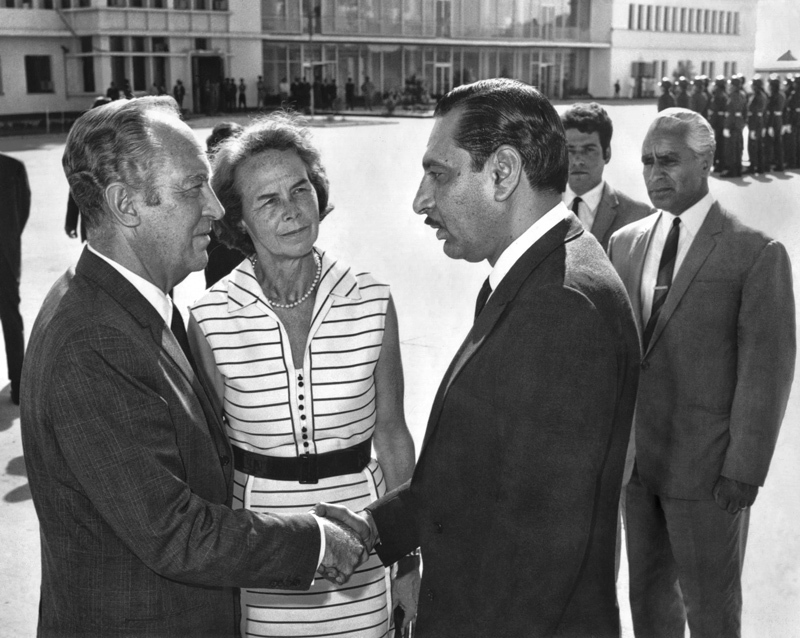 In Small Things Remembered » Prime Minister Nur Ahmed Etemadi greets Secretary of State William Rogers. Secretary of State William Rogers. Rogers arrived in Kabul in 1969, becoming the first U.S. Secretary of State to visit Afghanistan. He met with King Zahir Shah at Gulkhana Palace and had a luncheon with Prime Minister Etemadi at the Ministry of Foreign Affairs. The Secretary also laid a wreath at the Mausoleum of Nadir Shah, the King’s father. Courtesy of the U.S. Diplomacy Center, U.S. Department of State.